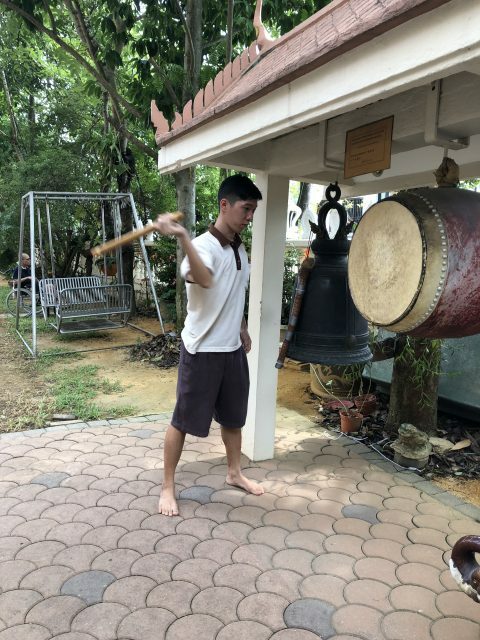 Meet Phra Goh, one of the rare few in Singapore who joined monkhood in his youth. 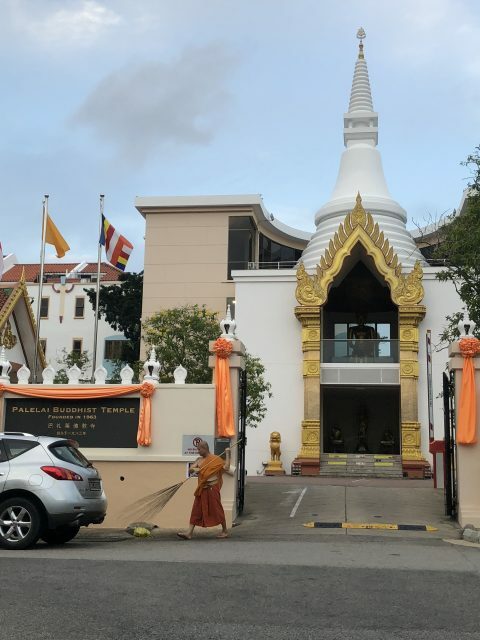 Located in the east of Singapore, Palelai Temple is home to many Buddhist monks, including a young, tall and soft-spoken Phra Goh. 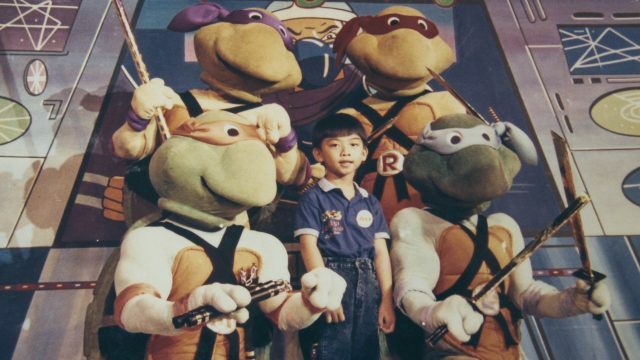 The 32-year-old was born Goh Chun Kiang to a businessman father and a homemaker mother. In school, he’s always a model student who scored well in all his subjects. But even at a tender age of 8, he knew he wanted to be a monk, partly as a result of his father’s influence. 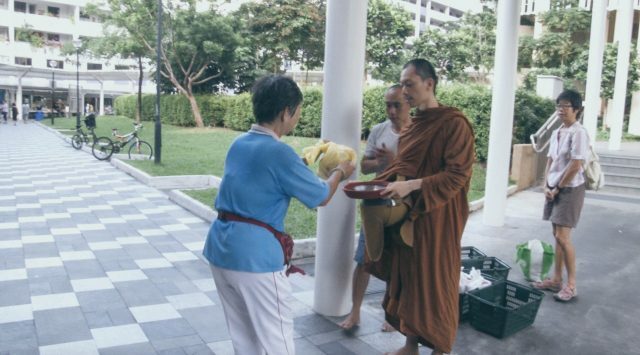 His father, Mr Anthony Goh, has always been supportive of his son’s pursuit of monkhood. “I miss him but he’s grown up, so I have to let him go and let him do what he wants,” the father said. 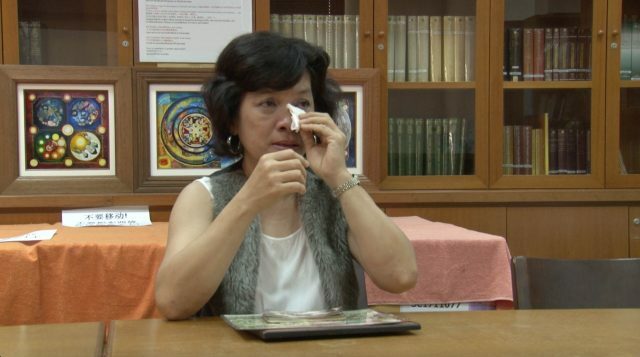 Phra Goh’s parents are divorced, but he remains close to both of them. 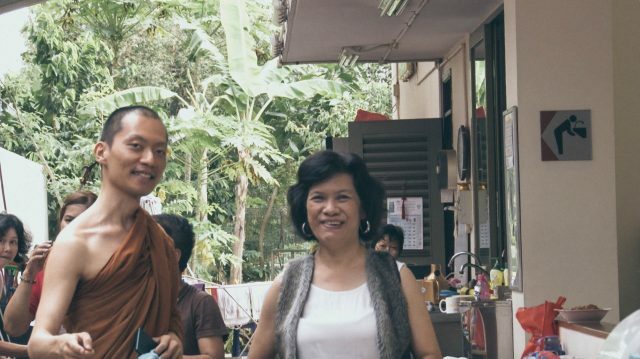 His mother, Madam Lee Geok Mui, visits him at the temple regularly. After years of persuasion, he received her blessing and was ordained when he was 23. “Every time I see him, we can’t touch, we can’t hug,” said Mdm Lee as tears rolled down her cheeks. 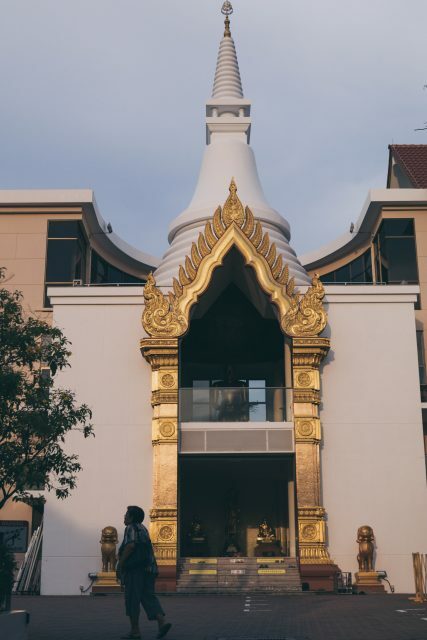 Entering monkhood means forgoing the material life, and Phra Goh is fine with that. 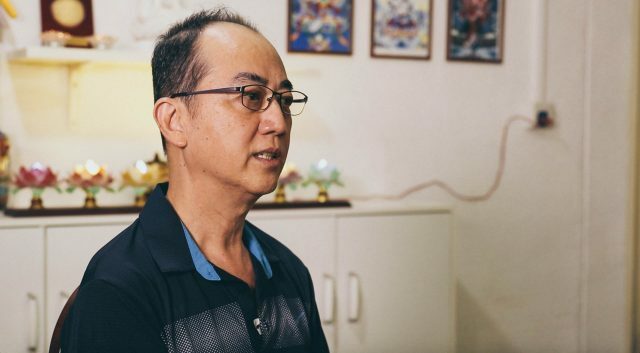 “Most Singaporeans are all about the five Cs … But ever since my parents’ divorce and my dad’s bankruptcy, I only just saw them as temporary things,” he said. Phra Goh now owns only a travel bag, his robes and a phone to communicate with other monks. 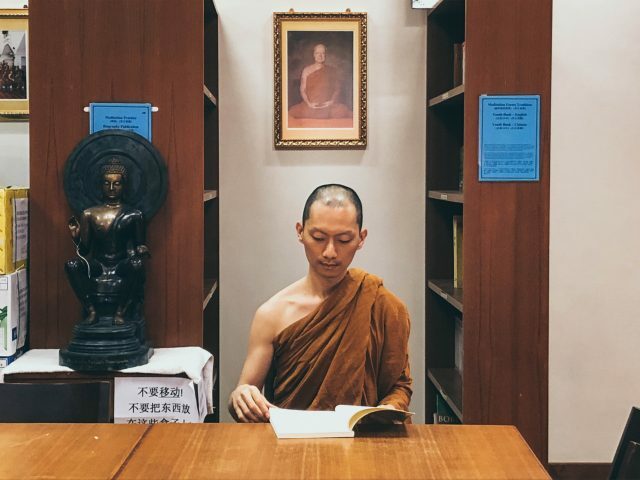 There are only 15 monks under the age of 40, and Phra Goh was the youngest when he ordained at 23 years of age. 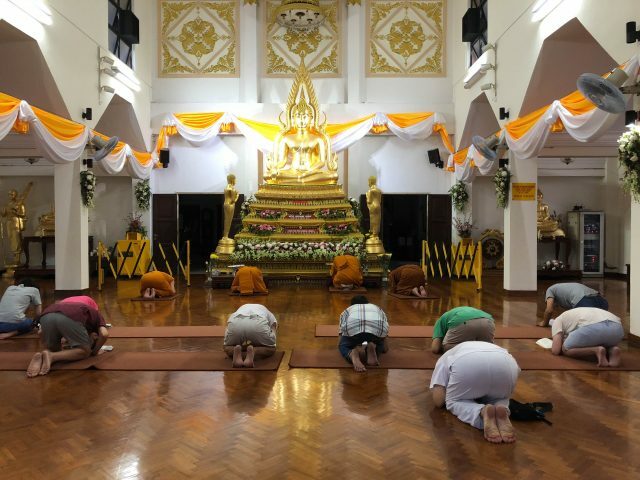 Phra Goh’s morning routine consists of cleaning the temple, meditating, and collecting alms. At 8 am every morning, Phra Goh goes to the nearby market to collect donated goods from the public. During this collection, Phra Goh is not allowed to speak to the passers-by. “I am not allowed to talk because we don’t want them (the public) to feel obliged to give us food,” Phra Goh explained. After spending about an hour at the marketplace, Phra Goh goes back to Palalei Temple to continue his day. Like all the other monks, he sweeps the floor, wipes the windows, and remove trash to keep the temple clean. He also spends hours meditating, and goes for lunch at the kitchen when he hears the afternoon gong. Lunch is prepared by the volunteers at the temple. His mother is one of them. Life is simple at the temple, and Phra Goh is thankful for it. To him, entering monkhood is not a sacrifice. “I wouldn’t call myself ‘amazing’ … There are so many other people who are even more brave and should get recognition for it,” he said before he leaves for his evening round of chanting.